‘DNA spellchecker’ is preferentially directed towards more important parts of chromosomes that contain key genes. The study illustrates how data from medical sequencing projects can answer basic questions about how cells work. The work, performed by two scientists from the EMBL-CRG Systems Biology Unit in Barcelona, will be published online in Nature today. Copying the large book that it is our genome without mistakes every time a cell divides is a difficult job. Luckily, our cells are well-equipped to proof-read and repair DNA mistakes. Now, two scientists at the Centre for Genomic Regulation in Barcelona have published a study showing that mistakes in different parts of our genome are not equally well corrected. This means that some of our genes are more likely to mutate and so contribute to disease than others. The scientists analysed 17 million ‘single nucleotide variants’ – mutations in just one nucleotide (letter) of the DNA sequence – by examining 650 human tumours from different tissues. These were ‘somatic’ mutations, meaning they are not inherited from parents or passed down to children, but accumulate in our bodies as we age. Such somatic mutations are the main cause of cancer. Many result from mutagens, such as tobacco smoke or ultraviolet radiation, and others come from naturally occurring mistakes in copying DNA as our tissues renew. Ben Lehner and his team had previously described that somatic mutations are much more likely in some parts of the human genome, thus damaging genes that may cause cancer. In a new paper published on 23rd February in Nature, they show that this is because genetic mistakes are better repaired in some parts of the genome than in others. This variation was generated by a particular DNA repair mechanism called “mismatch repair” – a sort of a spellchecker that helps fix the errors in the genome after copying. Lehner and Supek show that the efficiency of this ‘DNA spellchecker’ varies depending on the region of the genome, with some parts of chromosomes getting more attention than others. 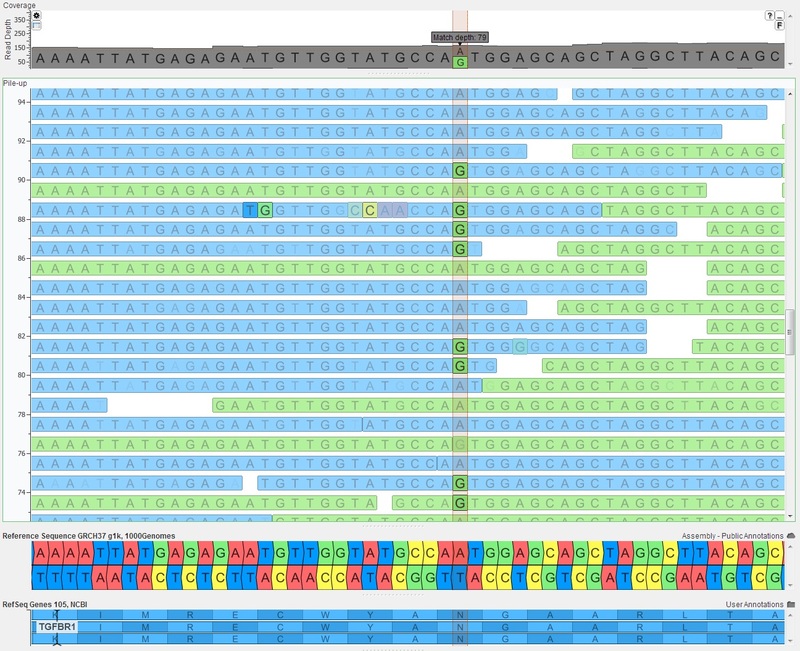 The work presented by Lehner and Supek sheds new light on a process that was unexplored – what makes some parts of the human genome more vulnerable to damage? “We found that regions with genes switched on had lower mutation rates. This is not because less mistakes are happening in these regions but because the mechanism to repair them is more efficient”, explains Ben Lehner, group leader, ICREA and AXA professor of risk prediction in age-related diseases at the EMBL-CRG Systems Biology unit in Barcelona. The ‘mismatch repair’ cellular machinery is extremely accurate when copying important regions containing genes that are key for cell functioning, but becomes more relaxed when copying less important parts. In other words, there appears to be a limited capacity for DNA repair in our cells, which is directed where it matters most. The CRG researchers also found that the rate of mutation differs for around 10% of the human genome in cells originating from different tissues. In particular, liver, colorectal and lymphocyte malignancies present more mutations in some parts of our chromosomes, while breast, ovarian and lung cancers accumulate more mutations in other places. They found that genes that are important and switched on (expressed) in a particular tissue also exhibit less mutations in tumours of that tissue; the effect extends into the surrounding DNA. But what gives the important genes a higher resilience to damage? “The difference is not in the number of new mutations but in the mechanism that keeps these mutations under control”, comments Fran Supek, CRG postdoctoral researcher and first author of the paper. “By studying cancer cells, we now know more about maintaining DNA integrity, which is really important for healthy cells as well”, he adds. Once the ‘genomic spellchecker’ has been disabled in a cell, the scientists observed that genetic information started decaying not only very rapidly, but also equally in all parts of the genome - neither the important nor the less important parts can were repaired well anymore. DNA mismatch repair is known to be switched off in some tumours from the colon, stomach and uterus, producing ‘hypermutator’ cancer in those organs. The accumulation of harmful changes in DNA is a normal process occurring in all human cells every time they divide. Therefore this research not only makes an important contribution not only to cancer research, but also may lead to insights into aging and genetic diseases as well. The study analysed publically available genomic data from the TCGA and ICGC Consortia and from the Sanger Institute, and it has been funded by the Spanish Ministry of Economy and Competitiveness (Plan Nacional BFU2011-26206 and Centro de Excelencia Severo Ochoa SEV-2013-0208) the European Research Council (ERC Consolidator IR-DC 616434), the Secretariat for Universities and Research of the Catalan Ministry of Economy and Knowledge, the EMBO Young Investigator Program and the European Commission (FP7 project 4DCellFate and FP7 project MAESTRA and Marie Curie Actions).